Beautiful and comfortable home with private pool. The pool is enclosed by fence. The house is situated at the advantage of the peaceful countryside and the proximity of the city and the beaches of the area. It is a comfortable and welcoming home and offers all the comforts to spend a few quiet days and warm nights. The house is located 2 kms from the beaches and around 2 kms from the town of Conil. The San Andres Golf Course at a distance of 8 kms. The airport of Jerez de la Frontera is at 56 kms. The provincial capital Cadiz is 45 kms, or 45 min. drive, away. The connection with the motorway is at 2 kms. Muchas gracias Cayetana por tu amabilidad y tu buena recibida! la botella de vino y la piña fue todo un detalle! Hemos pasado unos dias increibles en la casa...es muy tranquila y se respira un ambiente muy acogedor..la playa está muy cerquita y la zona es muy agradable. La verdad es que se la recomiendo a todo el mundo. Ideal para ir en familia y desconectar unos días.. Mis hijos disfrutaron mucho en la piscina. Muchísimas gracias por todo Cayatena. Esperamos volver pronto. 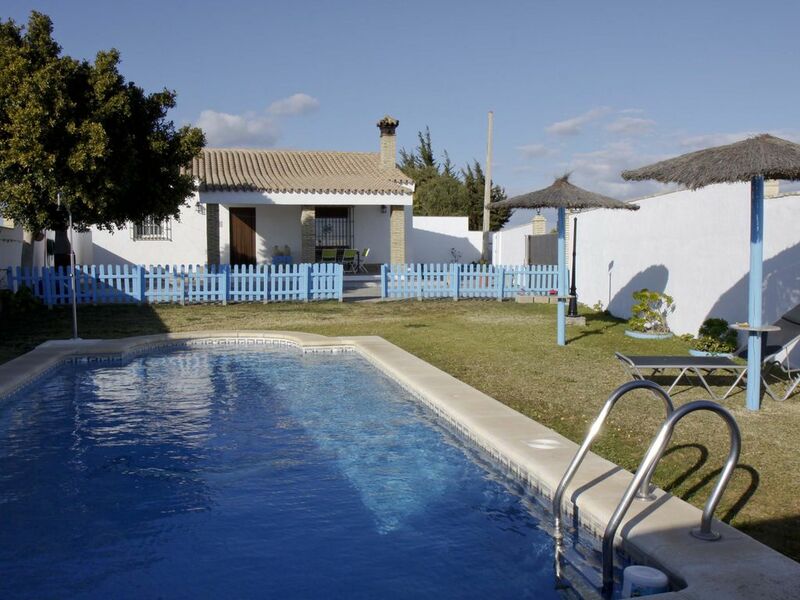 It is a beautiful and comfortable home, located two kilometers from the town of Conil de la Frontera. A nice place to spend a few days vacation, close to the city and the various beaches around.